This young man has noticed poor nasal breathing for several years such that he is a mouth breather. He didn’t recall any nose injury in spite of the crooked appearance which typically would have suggested of one. He commented he has the’ family nose’ as does his dad and sister. He finds he has frequent nasal infections, coughing and phlegm. He wanted a straight nose both on profile and face on. His internal nose was so twisted there was no airspace to be found on his left side. Frequent nasal infections and increased phlegm isn’t indications for septoplasty. If there is evidence of chronic sinusitis, then if all medical treatment fails, surgery on the sinuses can be considered. 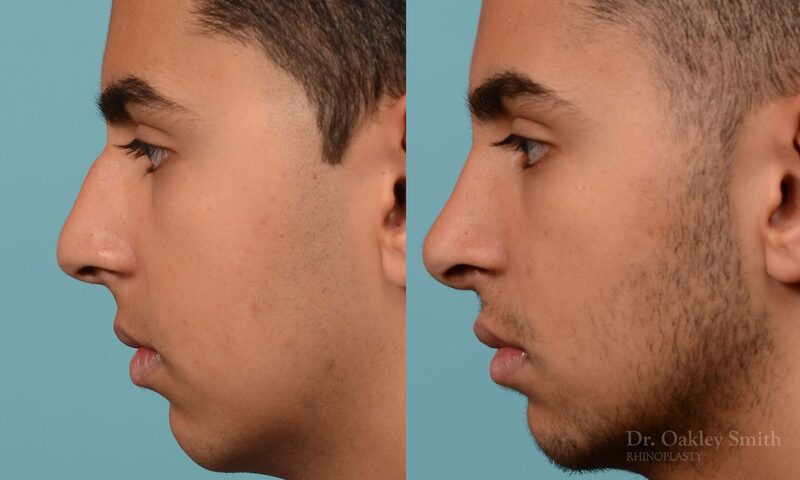 However in Dr Oakley Smith’s experience, he has had a few patients which benefited by a septoplasty. So although this is the wrong surgery for chronic sinusitis, septoplasty can sometimes help. Because his septum was so severely deviated, his septum needed to be removed from his nose and then made straight on the surgical back table before replacing the septum into his nose. The recovery is initially more miserable because of the degree of surgical trauma. 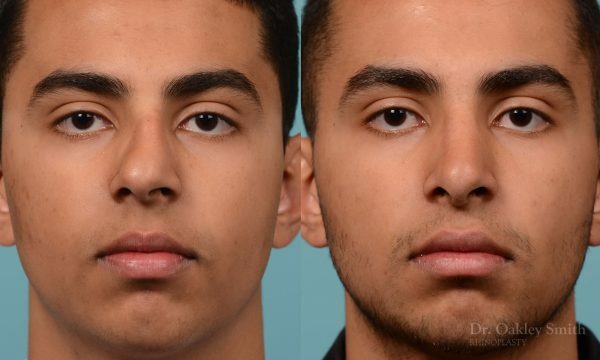 Only the most severe 5% of deviated septum require this degree of surgical intervention. 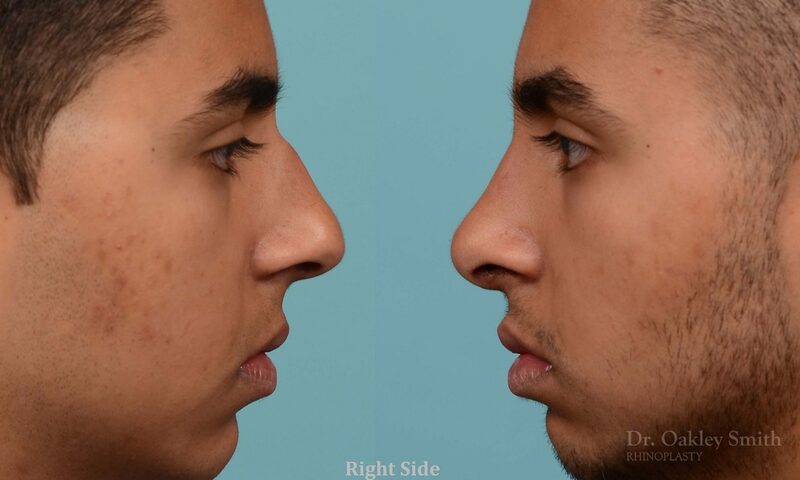 Fortunately he has had an excellent improvement in his markedly crooked nose. 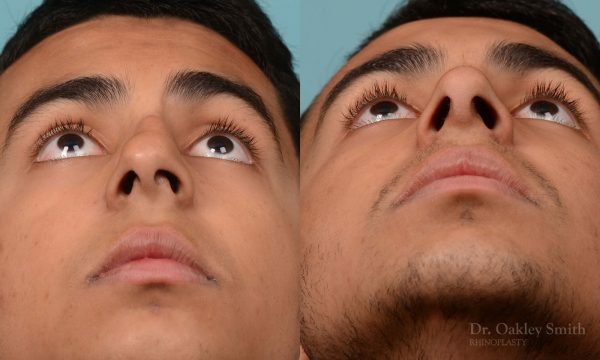 The surgery has produced a columella which hangs more than ideally. 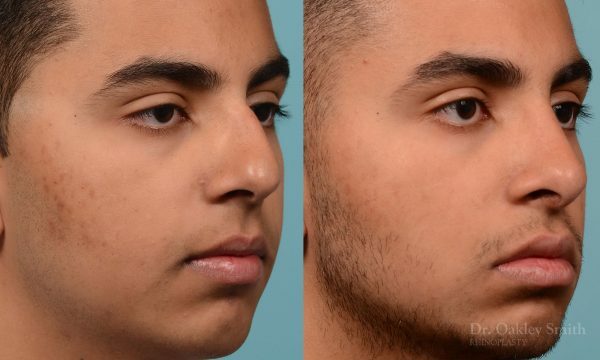 This isn’t surprising given the how much surgery was done. 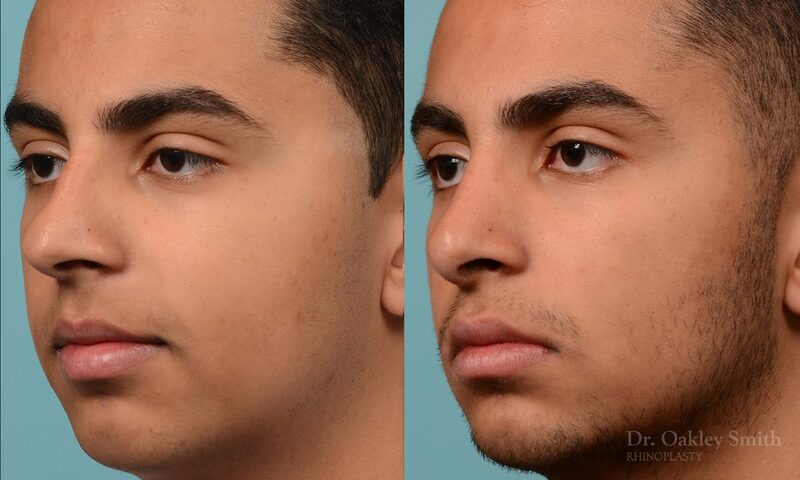 Before and after photos of Dr Oakley Smith’s patients.